Prominent & Leading Manufacturer from Nashik, we offer overload protection for crane, overhead crane overload protection, over load current control device and current control device. We are instrumental in offering Overload Protection Device to our clients. 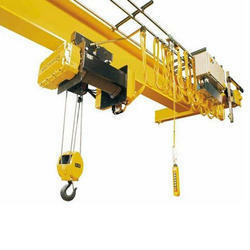 It is widely acclaimed to be used to keep control on overhead Hoist during unloading from the truck. This device is also popular for acting very fast and avoids accident occur due to hoist hook if attached with the truck body by mistake or due to worker negligence. Our team of dedicated professionals put their best effort to make this product quality-approved with set industry standards. The Programmable CCD ( Current Controlled Device ) is unique designed product of Jyoti Telecom. 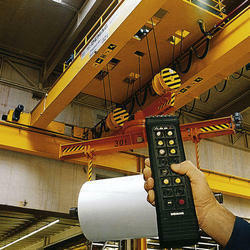 It is specifically used to keep control on over head Hoist during unloading from the truck. This device acts very fast and avoids accident occur due to hoist hook if attached with the truck body by mistake or due to worker negligence. Threshold value of current is programmable and it is set in the system first. This current is little bit above than the regular working current of hoist motor. If motor current exceeds than the threshold value System detects and stops motor immediate. This high current value get recorded and can be seen afterwards. Now the system is in OVERLOAD TRIP MODE, and will not work unless authorized persons reset it.